The latest smartphones are very attractive and more powerful than ever before. It now makes sense to hold on to your latest smartphone for as long as you can; it’s probably fine. Besides, most new phones have the dreaded notch design. It’s the holiday season, and lots of people are thinking about upgrading their phones. Tons of great new phones came out in 2018. Apple launched the iPhone XR, the iPhone XS, and the iPhone XS Max; Google released the Pixel 3 and the Pixel 3 XL; Samsung had its Galaxy S9 and Note9; and even OnePlus debuted two impressive phones with the OnePlus 6 and the 6T. You may find some great Black Friday, Cyber Monday, or holiday-related deals for these phones. And if you are dead set on upgrading for one reason or another, then you’ll be happy with a new phone, especially if it was made this year. That said, unless your smartphone is extremely old and struggling with its software, I would highly recommend holding on to your latest smartphone for as long as you can. It’s true that smartphones are better than ever in 2018, but they’re also more expensive. Apple, as usual, set the trend last year when it released the iPhone X, a radically redesigned smartphone with a radically high starting price of $US999. The year before, the starting price of the company’s newest iPhone, the iPhone 7, was $US649. 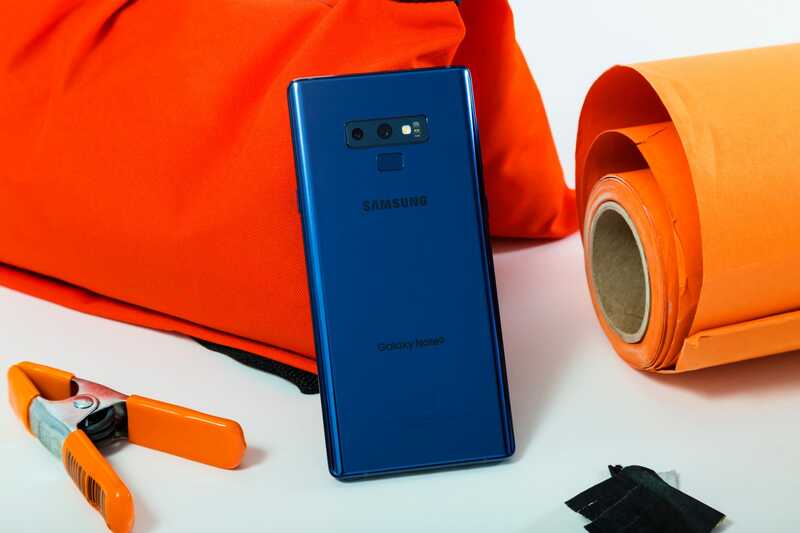 Hollis Johnson/Business InsiderLike Apple’s latest iPhones, Samsung’s Galaxy Note9 also starts at $US999. Other smartphone manufacturers were quick to catch on to Apple’s idea to set even higher prices for smartphones. At its launch, the Samsung Galaxy Note9 also cost $US999 – and could eventually cost $US1,250. LG’s new phones for 2018, the G7 Thinq and the V40 Thinq, started at $US750 and $US900. The iPhone XR, which looks like the iPhone X but has a lower-quality screen, starts at $US750. Even Google’s Pixel 3, with its starting price of $US800, is $US150 more expensive than the starting price of last year’s Pixel 2 phone. For the most part, the best smartphones you can buy will easily cost over $US700, and once you add the cost of insurance (you should) and a case or two, you’re paying close to $US900 or even $US1,000. And, of course, if you want the best iPhone experience you can get, your starting price is $US1,000. There’s a silver lining to all these high smartphone prices: Smartphones are so good and so powerful now that they should last for quite a while. If you bought a smartphone in the past two years, there’s a good chance your smartphone is still in excellent condition. Smartphone chips have gotten powerful to the point of overkill, but plenty of chips released in 2016 remain powerful enough to handle most of today’s smartphone tasks. Even the iPhone 6s, first released in late 2015, is still a remarkable phone. Plenty of people upgrade their smartphones because they see signs of ageing. But instead of buying a new phone, consider replacing your phone battery. Doing so can sometimes make a phone with slowed performance feel like new. But if it’s not a battery issue, and you’re convinced you want to upgrade because you think the latest smartphones are pretty, answer this question: Do you really want a phone with a notch, that dreaded cutout at the top of the phone’s display that usually houses some form of camera system? The fact is, we’re living in the Notch Era – again, you can blame Apple for this – in which every smartphone maker is mimicking the iPhone X’s signature design. It’s unfortunate because the notch design isn’t particularly attractive, and Android phone makers missed a golden opportunity to leapfrog Apple with better designs. So if you want a new phone, that’s great, but all the best phones in 2018 have notches: the iPhone XR, the XS, and the XS Max lead the way, but Google’s Pixel 3 XL, OnePlus’ 6 and 6T phones, LG’s Thinq phones, the Asus Zenfone, Huawei’s P20 Pro, and countless others have notches. In a twist from the early days of smartphones, Samsung’s phones are the major exception and have not participated in the notch trend. To recap: Smartphones are better than ever, but they’re also really expensive, and they’re not markedly better than they were from a few years ago to justify those higher prices. And it’s not as if the newest smartphones are much more attractive than they were before. On the contrary: With so many notches on smartphones, it’s best to wait until better-looking designs come along. So if you can, save your money. Consider replacing your phone’s battery before getting a new phone. By getting the most value from your current purchase, you won’t feel so bad about spending a lot of money when you eventually do need to upgrade.